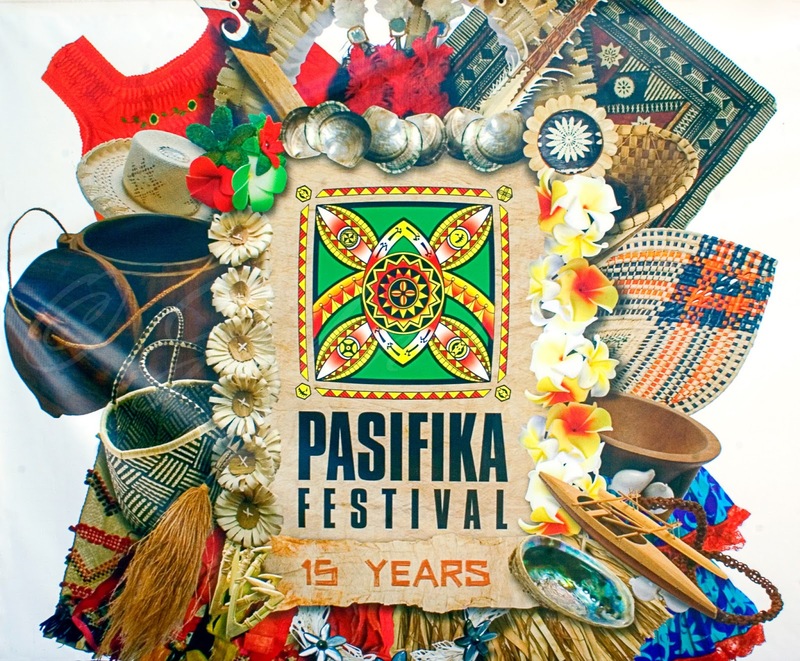 The annual festival of South Pacific dance and culture known as Pasifika takes place at Western Springs Park in Auckland every March. 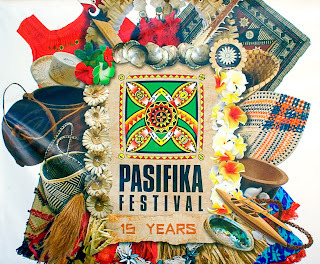 The banner for the event is full of iconographic objects and images from the various islands. The bright colors of the collage of items makes for a very fun and pleasing work of art.